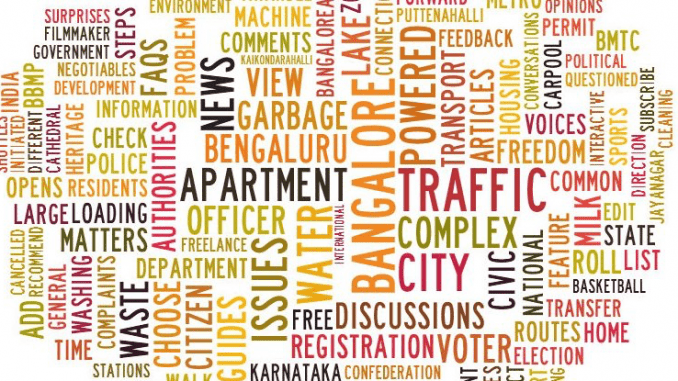 Janaagraha’s survey on Open Spaces* (parks and playgrounds) (Access the reports here) in Bengaluru has found out that poor availability, poor access and poor maintenance continue to plague the city’s public spaces. As for availability of open spaces, Bengaluru has 19 sqkm of open space (parks and playgrounds), which accounts for 3% of the city area (709 sq km). But at 2.2 sq m of open space per capita, Bengaluru falls considerably short of the prescribed standard of 10 sq. m of open space per capita recommended by the Urban and Regional Development Plan Formulation and Implementation (2015) guidelines of The Ministry of Urban Development (GOI) for cities with population greater than 1 million. This would require an addition of 67 sq. km. of open space in Bengaluru. On assessing the accessibility and quality of parks and playgrounds we see that 21% of the parks in the city were found to be closed during the visit of the survey team. Only 56% had adequate lighting. Outer wards fare worse making it unsafe for citizens to use the parks. Parks scored poorly on cleanliness as well with 54% of them littered with garbage. Parks across the city did badly on two other indicators:; availability of drinking water and availability of toilets. While only 3% of the parks in the city have drinking water facilities, only 6% of them have toilets for the use of citizens. However, parks across the city scored high on providing physical and recreational activity with 80% of them having walking tracks and 77% of them having seating areas. However one sore point is the lack of facilities for young citizens with only 36% of them having play equipment for children. As for accessibility of the parks, it is a skewed story with 79% of the parks and playgrounds being in the inner wards of the city. Outer wards in the city are worse off in terms of accessibility for parks; in some zones like Mahadevapura it is at 19% and Yelahanka Zone at 38%. West Zone with 95% and South Zone with 93% scores significantly better. Playgrounds fare even worse, with only 1% of playgrounds across the city having drinking water facilities, and a mere 4% of them having toilet facilities, and 70% with litter and garbage. 49% of the playgrounds also lack lighting facilities and only 39% have play equipment or facilities. However, around 92% of the designated playgrounds were found to be functional and with 71% of them staffed with security personnel. The BBMP spent Rs 101cr on Parks and Playgrounds related works in 2016-17 and has budgeted an amount of Rs 165cr in 2017-18. Improving adequacy of Parks and Playgrounds may not be feasible option in the short term as it involves creating more open spaces in the city, however as a first step, focusing on improving the quality of existing parks and playgrounds to raise it to a score of 10 by 2018 will greatly enhance citizens ability to utilise these spaces and better the environment. The list of Parks and Playgrounds were obtained from the BBMP. All the locations were geo-coded on the map. A total of 1115 Parks and 192 Playgrounds were surveyed. The survey consists of 10 questions for Parks and 10 questions for Playgrounds. It was undertaken by a survey team, who were trained and provided a customised mobile app developed to capture the survey data. Data was validated with geo-tagged pictures. The survey was undertaken over a 2 month period and concluded in January 2017. Bengaluru has an official population of 84 million as per the 2011 census (current unofficial estimates are 120 million) and is serviced by 2,838 public toilet seats across 473 public toilet complexes across the city. The National Guidelines set by the Swachh Bharath Mission (SBM) for Public Toilets that cater to a floating population of 500,000 in cities prescribe 1 toilet seat per 100 men and 2 per 100 women. Bengaluru falls short by almost 1,100 Public Toilet complexes. Cities need to cater to the needs of both residents and the floating population in places such as markets, bus stands, tourist spots and other public areas with high pedestrian traffic. The survey found that BBMP has done a good job in areas with high pedestrian traffic where they have ensured toilets are easily available, however in 10 wards with 11 major bus depots there are no public toilets at all. SBM guidelines indicate that the city requires 1 toilet complex every 7km. However as per the current survey there is 1 toilet in every 24km stretch. 43 wards meet or exceed this benchmark. The best performing ward is Sudhama Nagara with 28 toilet complexes, followed by Dharmaraya Swamy temple ward with 22 toilet complexes. In terms of accessibility 85% of toilets are available in inner wards with outer wards serviced to a very low extent. Surprisingly, in spite of this higher concentration in inner wards, of the 63 wards that do not have a single public toilet within their limits, 42 wards are inner wards, which are densely populated and account for 61% of the total population. When it comes to cleanliness, the survey shows that 76% male and 70% female toilets are usable; 59% male and 58% female have adequate lighting; 63% male and 42% female have washbasins; 47% have clean floors. Only 10% male and 6% female have functional flushes and an average of 13% toilets do not have dustbins. The absence of flushes result in unhygienic conditions which are a health hazard. Privately maintained toilets score better with 7.4 for those under PPP agreements and 5.9 for BBMP maintained male toilets, and 6.8 for PPP and 5.5 for BBMP maintained female toilets. Accessibility of toilets can be improved by enabling petrol stations to open up toilets to the public. Build toilets in parks and playgrounds where adequate land is available. BBMP could consider utilising its own land for public toilets where feasible and also consider using portable toilets in strategic locations. BBMP spent over 5cr in 2016-17 on public toilets. To meet the SBM guidelines the BBMP needs to spend an additional 51cr on construction of new public toilets. The good news is that in the 2017-18 budget the BBMP has set aside 51cr for public toilets. It has raised Job Codes for 3.8 crores this year and floated 80 Tenders for 9.2 crores. This is a positive step and a potential sign of increased access to public toilets for the citizen. This initiative has been supported by The Asia Foundation. This press note was sent by Sapana Karim of Janaagraha and published here with minimal edits, under the section ‘Message Forward’ meant for nonprofit public interest messages. Sapna Karim is the head of Civic Participation at Janaagraha, a Bengaluru-based NGO.